The '90s saw the birth of a new instrumental genre called smooth jazz. Born by combining the great funky jazz instrumentals of the '70s with the keep em' on the floor R&B dance grooves of the late '80s, smooth jazz has become a constant on radio airwaves across the country. Likewise, producer Jeff Carruthers has become a constant when it comes to making smooth jazz hits. After arranging hits for such artists as Peter White, Boney James, Paul Brown, Jeffrey Osborne, Euge Groove, Jimmy Sommers and more, Jeff has used his vibe to create this DVD full of the sweetest grooves you've ever heard. 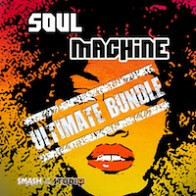 Over 4.3 GB of smooth sax, trumpet, keys, guitar, bass, piano, drums, percussion and more. 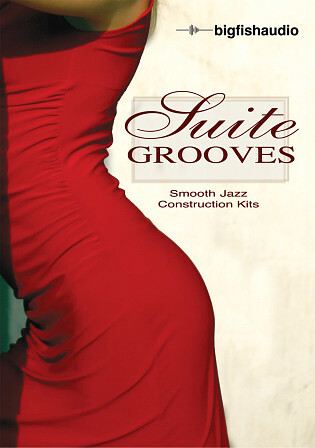 Get started on a Suite Groove of your own. The Following End User License Agreement is included with Suite Grooves. This License is only valid for the individual who has purchased an unopened, new and lawfully made copy of Suite Grooves from a dealer or distributor authorized by Big Fish Audio. In the world of loops, there is a plethora of hip-hop, dance and pop content to choose from. So it's refreshing to see something off the beaten path, Big Fish Audio's offering of a DVD centered on the Smooth Jazz style.